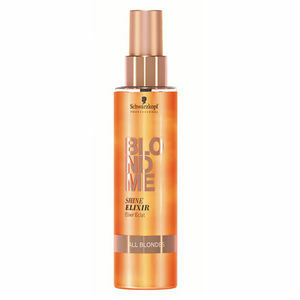 Luxurious leave-in anti-frizz treatment that smoothes and cares. 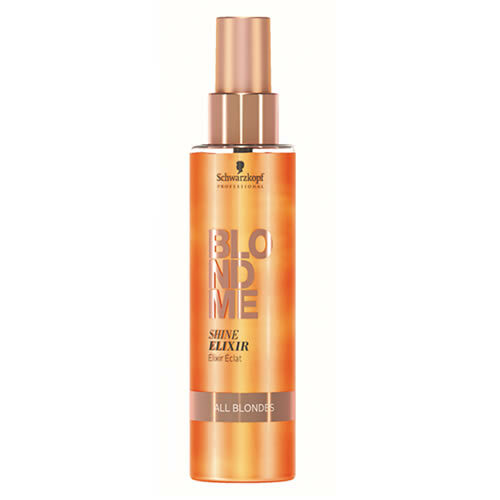 Schwarzkopf Professional BLONDME Shine Elixir Leave-in Serum ALL BLONDES is a treatment that's gentle enough for daily use that provides care and creates smoothness for all types of blonde hair. It leaves hair feeling soft and silky with a luxurious, glossy finish and gives subtle definition while controlling static build-up. It's able to do this thanks to the inclusion of a light styling polymer which gives anti-frizz control and smoothness to your clients' blonde hair. Extra shine is obtained thanks to the Elixir including shine-enhancing particles and silicone oil. £10.74 (inc. VAT) Why no VAT? We're a trade wholesaler and quote our prices without VAT to help our VAT-registered customers understand the true cost of a purchase. Ammonia-free cream lightener with up to 7 levels of lift designed for freehand application for total creative freedom. Now with Schwarzkopf's Bond Enforcing Technology. Comes in a 250-ml tube.